Please note: Medicinal uses are given for informational purposes only. Always consult a medical professional before diagnosing or treating yourself or anyone else. Cultivation: Perennial (Zones 5-7). Produces creeping rhizomes and seeds–can be invasive (check with your local authorities before growing St. John’s Wort). Can be easily grown in any reasonable, well-drained soil; tolerates dry conditions. Prefers sun (will tolerate part shade). Start seed indoors and transplant to a permanent outdoor location after all danger of frost is past. Harvest flowering shoots and dry to use later, or preserve fresh flowers and buds in oil (see below). Because it spreads so easily, it can be readily found growing wild in fields, near creeks, and by the sides of roads. Medicinal: Taken internally, St. John’s Wort has been shown to be effective for mild to moderate depression and symptoms of menopause. Be aware that supplements are not regulated and can vary widely in quality, reliability, and efficacy. Externally, the oily extract is used to heal wounds, bruises, and various skin conditions. It can also be rubbed on sore muscles. Research has found that hypericin, one of the plant’s chemical compounds, has antibacterial and anti-inflammatory properties. Make your own extract by filling a sterilized glass jar with flower buds and flowers. Cover completely with olive oil (or other vegetable oil). Cover the jar and leave on a sunny windowsill for about a month. Wipe away any condensation that forms inside the jar. Oil should turn a deep red colour. Strain to remove flowers. Store extract in a cool, dry place. If mold develops while oil is steeping (usually because the plant material isn’t fully covered or there’s too much moisture in the jar) discard and start over. You can also make a tea with fresh or dried flowers. Cool and apply the tea to skin with a clean cloth or cotton pad. Use for wounds, bruises, skin conditions, and burns. You can also drink the tea (hot or cold) for its medicinal benefits, although beneficial effects will be milder than from a supplement. Caution: If you’re taking prescriptions (including anti-depressants, heart medicine, and birth control pills), avoid using St. John’s Wort internally, as it can interfere with absorption and cause interactions. It can also cause photosensitivity–avoid sun exposure entirely or cover up and wear sunscreen if you’re using St. John’s Wort in any form. Don’t use St. John’s Wort if pregnant or nursing. Caution 2: If you’re taking St. John’s Wort for depression and decide to stop, make sure to wean off it slowly by gradually decreasing the dose. Stopping abruptly can have adverse effects. Possible Side Effects: Restlessness, insomnia, nervousness, irritability, stomach upset, diarrhea, dizziness, headache, skin rash and tingling. It can also cause vivid dreams. Crafts: Alcohol extracts of the plant produce a deep red dye. Used with different mordants, it can produce various shades on wool, silk, and other fibres. Mara’s Uses: Mara mentions Hypericum as a plant worth studying for her blood substitute. It would also be part of her apothecary business, added to tinctures and extracts for other vampires to give their bloodletters (both to combat depression and to heal wounds), as well as for to human customers. Please note: Medicinal uses are given for informational purposes only. Always consult a medical professional before diagnosing or treating yourself. Cultivation: Perennial (although in less ideal conditions, it should be considered an annual). Cold hardiness depends on variety–English lavender (L. angustifolia) tolerates zones 5 to 8; French lavender (L. dentata and L. stoechas) is suited to zones 8 to 11. Lavender likes full sun and dry sandy or rocky soil. If you live in an area with heavy clay soils, try growing lavender in containers or raised beds. The plants need good air circulation, so don’t crowd them. Lavender generally doesn’t need to be fertilized. Avoid organic mulches in areas with high humidity (gravel or rock mulches should be okay). Plants generally bloom from June until August, and you can extend blooming time by planting a variety of types. Flowers range in colour from white to pink, light purple to deep blue-purple, and yellow, depending on variety. Lavender is difficult to start from seed–it’s best to purchase plants. Water seedlings consistently until they’re established. Prune plants in spring. Deadhead spent flowers throughout the season to encourage more blooms. Harvest just before the flowers are fully open. Lavender has become invasive and/or weedy in parts of Australia and Spain. Check with your local authorities before growing it in those areas. Bonus: Bees and butterflies love lavender. Medicinal: Lavender may help calm anxiety and ease insomnia. It’s also been traditionally used to treat intestinal disorders and cardiovascular diseases, and has been found effective in fighting fungal infections. Essential Oil: Lavender essential oil is distilled from the flowers and is used in perfumes, soaps, bath products, and in aromatherapy. The oil is antiseptic and anti-inflammatory, making it useful for treating minor burns (including sunburn), wounds, and stings. It also repels mosquitoes. Generally a drop or two of the oil can go directly onto skin, but if you have sensitive or allergy-prone skin you might want to dilute the lavender oil in a carrier oil (like sweet almond or olive) before applying to skin. Lavender oil, when combined with essential oils of rosemary, thyme, and cedarwood, has been found to be effective in combatting hair loss. Cautions: While lavender is generally safe, the NIH recommends that boys avoid lavender essential oil as it may cause hormonal effects leading to gynecomastia. Lavender oil can irritate the skin in some people (use with a carrier oil–see above) and can cause photo-sensitivity, so avoid sun exposure if you’ve used lavender essential oil on your skin. The NIH also says people who take sleep medication or blood pressure-lowering medication should use caution when combining lavender with these drugs. Lavender oil can be poisonous if taken internally. In addition, Essential oils are toxic to pets: never use to treat pets. Do not diffuse essential oils in an enclosed space when pets are present. Do not apply oils externally to pets. Never let pets or children ingest essential oils. Crafts: Add dried flowers to pot pourri mixtures, or sew them into sachets and dream pillows. The stems with flowers attached can be made into lavender wands or bottles. Dried flowers can be added to homemade soap. Make a lavender wreath or linen spray. Use fresh or dried in flower arrangements and centrepieces. Place about a teaspoon of dried flowers into a cup of superfine sugar and let the mixture sit for 2 weeks. Use the lavender-flavoured sugar in place of regular sugar in desserts and drinks. It’s particularly good sprinkled on berries or in lemonade. Flower buds and lavender leaves are infused to make tea. Lavender syrup (homemade or commercial) can be used in drinks, desserts, ice creams, or candy making. Lavender honey can be used like regular honey and has a subtle lavender scent and flavour. Other: Tie a bundle of lavender and eucalyptus to your shower for a relaxing, spa-like bathing experience. Mara’s Uses: Mara uses lavender to soothe herself by brushing her hand over the plant and inhaling the scent. Lavender is also part of her apothecary business, in teas, tinctures, and salves. History: Native to Europe and parts of Asia, comfrey has a long history (at least 2000 years) in healing. It has been used to treat coughs and lung ailments, stop excessive bleeding, treat stomach problems, and to ease joint pain and inflammation. Its most common use, however, has been to heal wounds, bruises, and broken bones; in fact, almost every name (in all languages) for comfrey refer to knitting or mending bones or healing cuts and contusions. “Comfrey” comes from a Latin word meaning “to grow together,” and the botanical name “Symphytum” comes from the Greek, meaning plant that knits bones together. It was once also used as food for both people and animals. Caution: Comfrey has been found to be toxic to the liver when taken internally in large amounts. It’s generally safe to use externally, but is best avoided by pregnant and nursing women, infants, and by people with liver, kidney, or vascular disease. It’s also toxic to animals, so be sure not to let them eat it. Cultivation: Perennial in zones 4 to 9. Easy to grow from seed, comfrey prefers full to part sun and rich, well-drained soil. It’s quite adaptable and can survive less-than-ideal conditions, including drought. Sow early indoors or outside as soon as soil can be worked. Sow just below surface of soil and tamp down–keep seeds moist (not wet). Sow seeds or seedlings with 2 feet (60 cm) of space around them as the plants get fairly large. Once plants are established in a spot they can live for decades and be difficult to remove, so take care when selecting a site. Comfrey is generally non-invasive, although it can self sow. Uses: Comfrey is still used externally to treat inflammation, joint pain, and closed wounds and bruises. You can crush fresh leaves to make a poultice, apply fresh leaves to the affected area, use a salve, or apply oil that has had comfrey steeped in it. Treat poison ivy blisters by rubbing a fresh leaf on them. You can also use the chopped roots to make salves, ointments, and oils (or use a combination of leaves and roots). Leaves are best used before the plant blooms; roots are best harvested in late autumn or early winter. In the garden, nitrogen- and potassium-rich comfrey leaves are used as fertilizer, in compost, and as mulch. Avoid using stems as they can take root and spread the plant where you don’t want it. You can also make a compost tea with the chopped leaves by steeping them in water for several weeks and then straining and diluting the resulting dark liquid 12:1 before applying to the garden. Mara’s Uses: She makes a poultice of comfrey leaves to help speed up healing of a particularly bad injury. Comfrey would be one of the herbs used to make salves and oils for her apothecary business. Please note: Medicinal uses are given for historical interest only. Always consult a medical professional before diagnosing or treating yourself. History: Native to South America, this and other varieties of Amaranthus were grown for their edible, protein-rich seeds. The Aztecs also used it in religious ceremonies, which led to the Spanish conquerors making its cultivation a capital offense (they still never managed to wipe it out). Some varieties were used to make a red dye, and betacyanins, which give Amaranthus their red colour, are still used to produce non-toxic food dyes. Medicinally, it has been used to treat swelling, ulcers, and diarrhea. Cultivation: Annual. Easy to grow from seed, Love-Lies-Bleeding prefers full sun and is both drought and moisture tolerant. It grows to be 3 to 8 feet (1 to 2.5 metres) tall. Seeds can be started indoors and transplanted outside after the last frost (start in April to transplant in May). Sow or thin to 12 to 18 inches (30 to 45 cm). Can self sow but generally isn’t weedy. Uses: Ornamental, cut flowers, edible (seeds and leaves). Wildlife: Birds love the seeds–leave plants in the garden over winter for the birds. 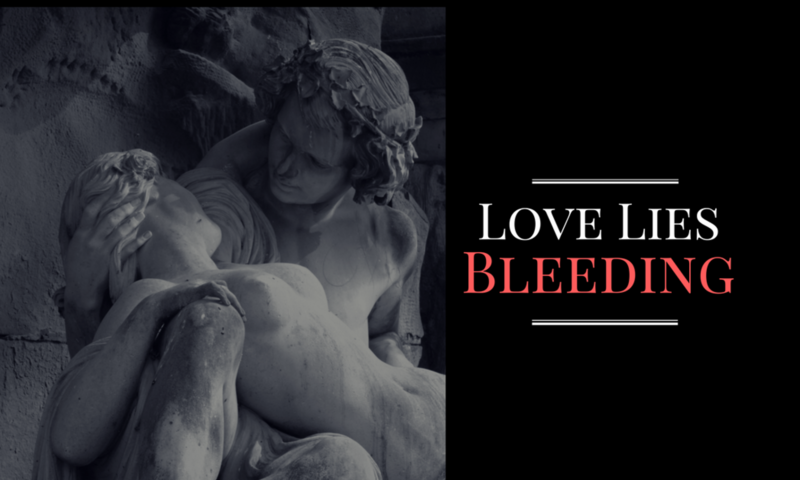 Mara’s Uses: Following the Doctrine of Signatures, Mara considers Love-Lies-Bleeding to be a potential ingredient in her theoretical blood substitute.